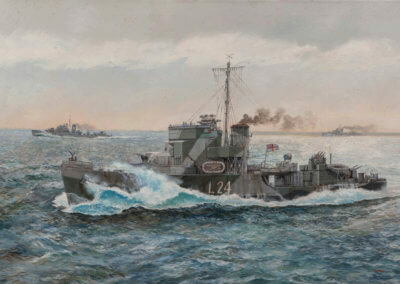 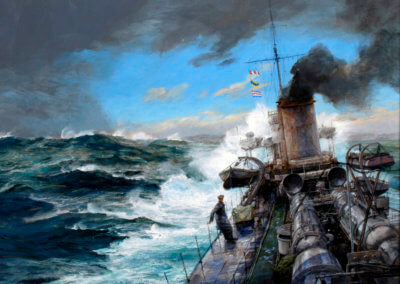 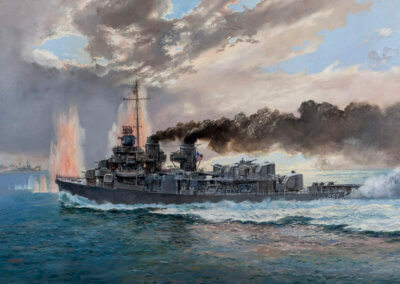 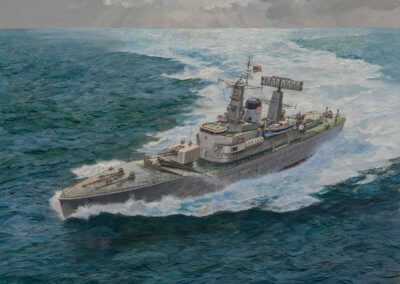 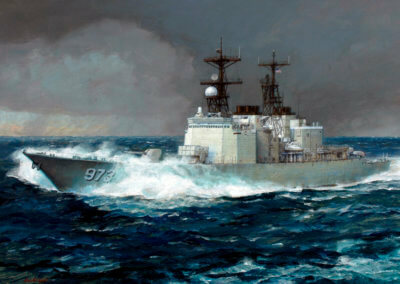 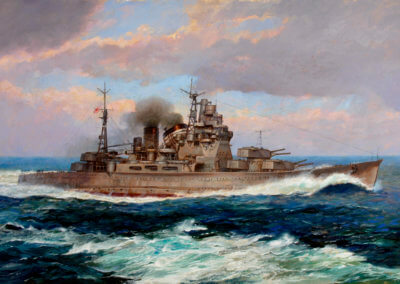 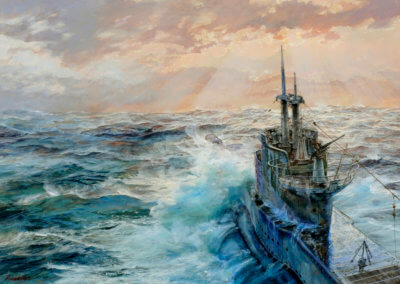 Paul Wright is a Member of the Royal Society of Marine Artists and has work in numerous public and private collections, including the National Museum of the Royal Navy and The U.S. 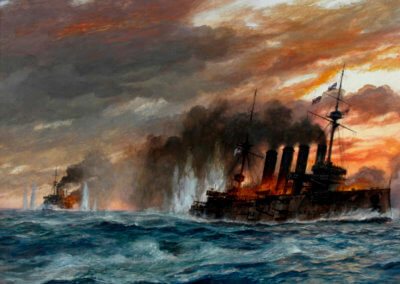 Naval War College Foundation. 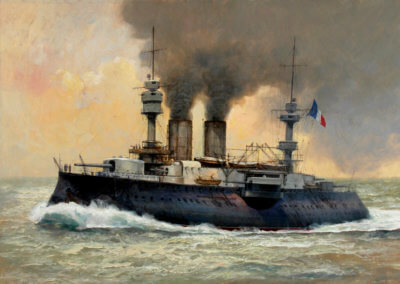 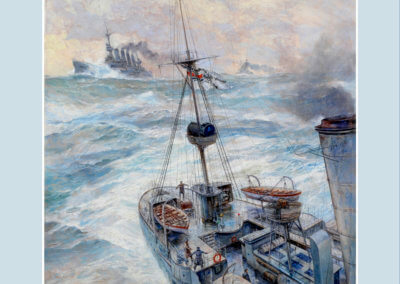 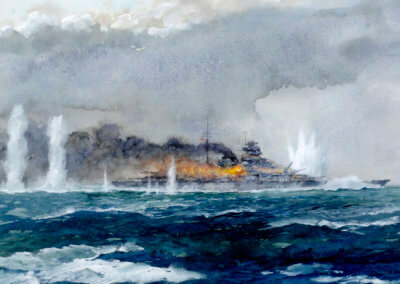 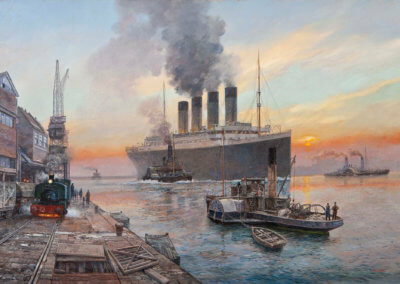 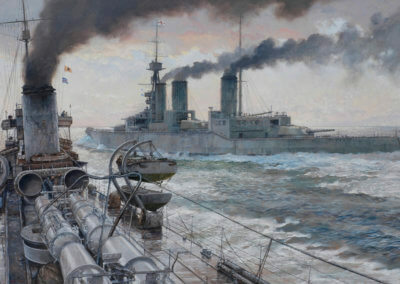 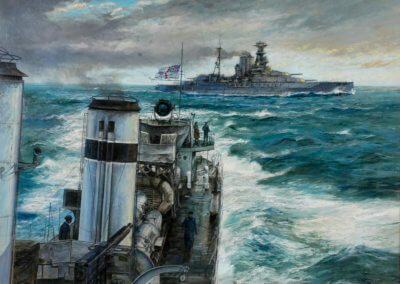 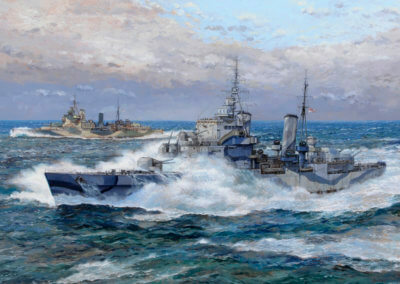 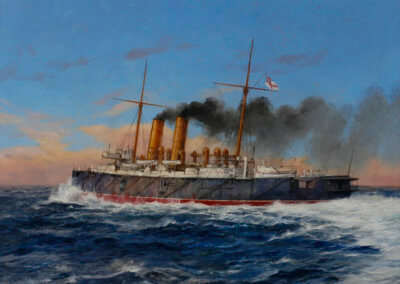 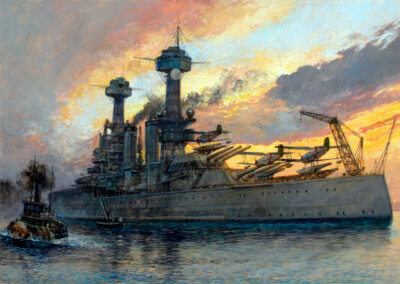 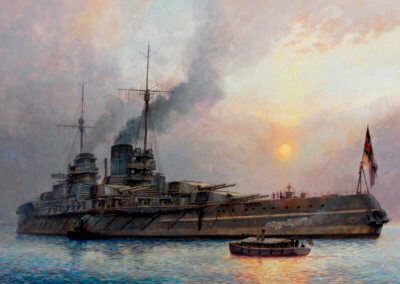 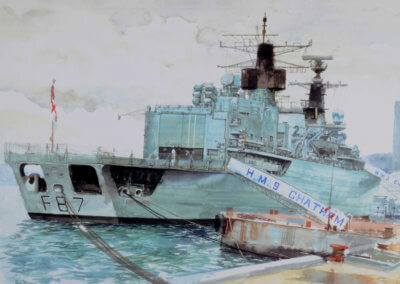 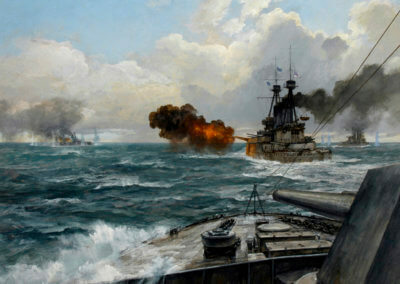 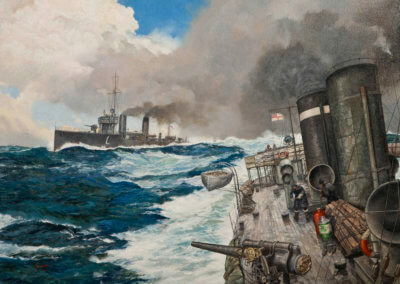 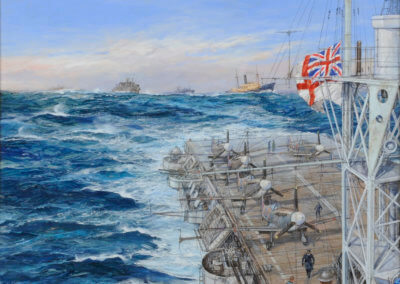 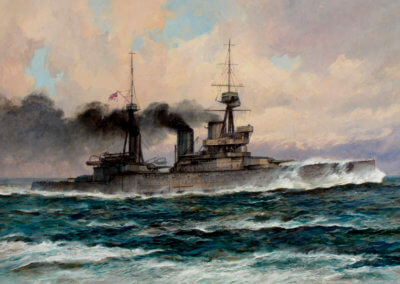 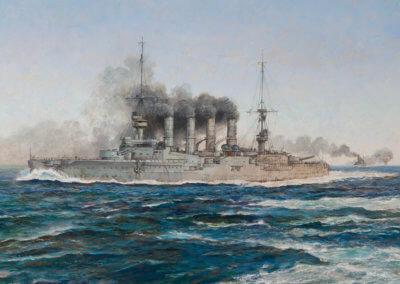 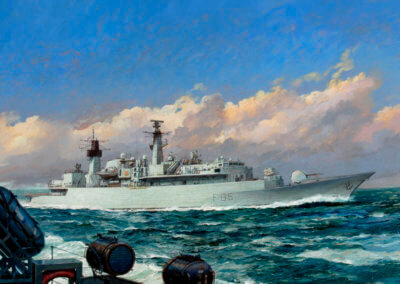 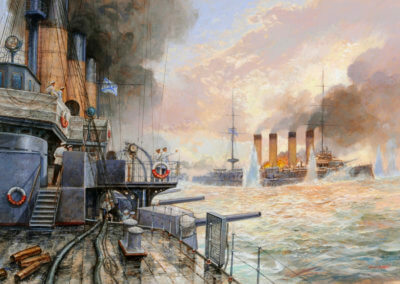 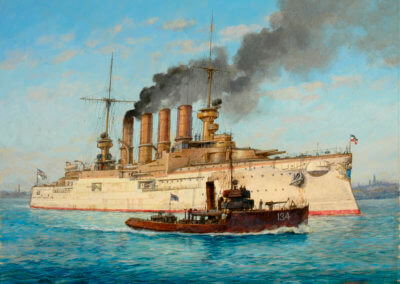 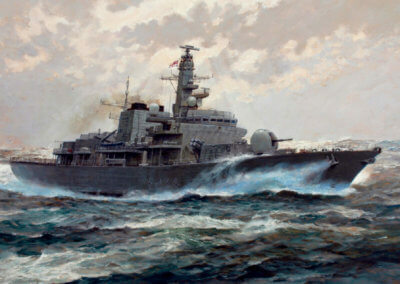 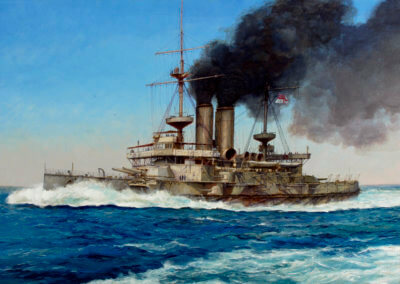 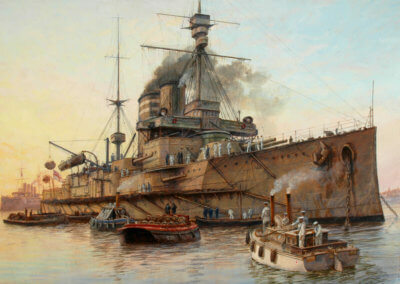 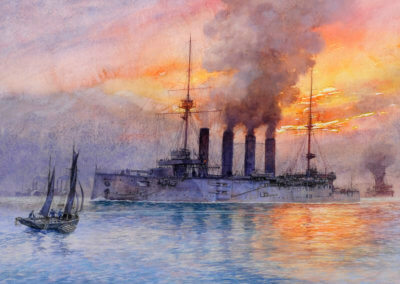 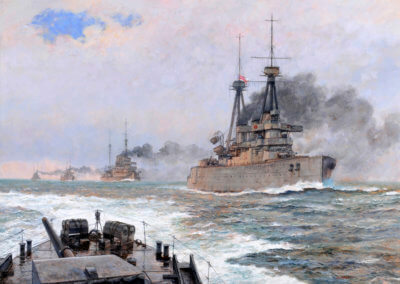 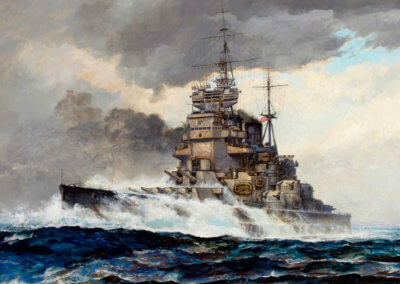 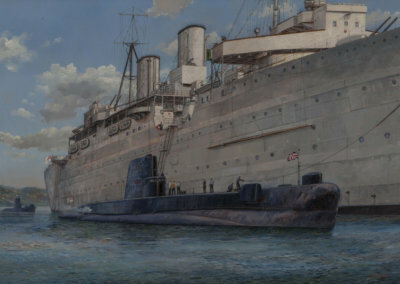 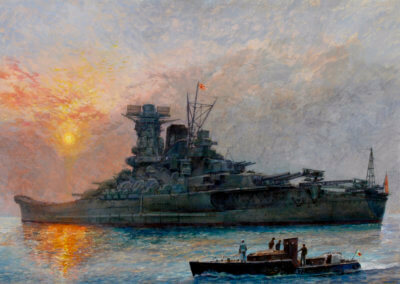 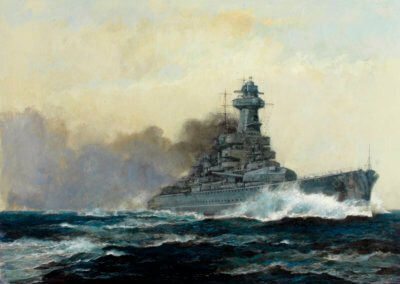 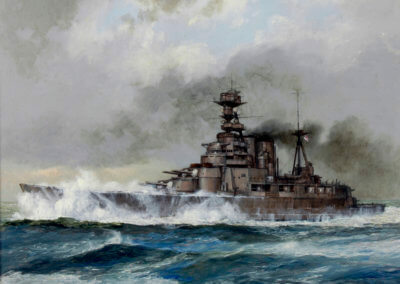 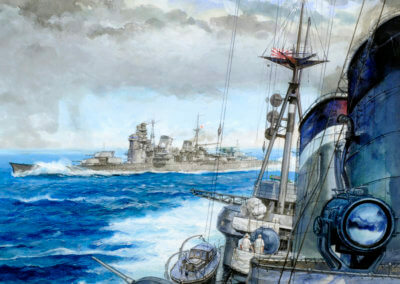 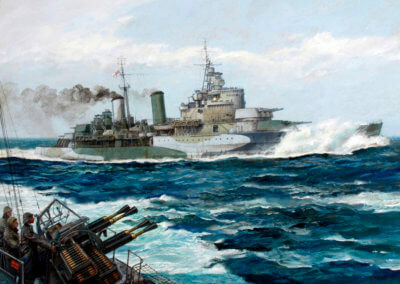 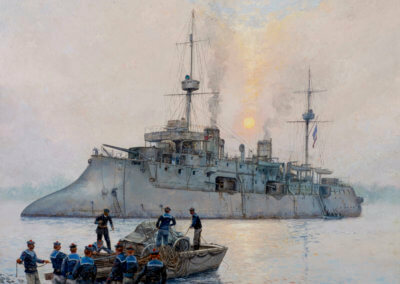 Other commissions include one of HMS Chatham and HMY Britannia in Hong Kong during the handover to China in 1997, a reproduction of the original painting that hung in the smoking room of the Titanic, produced for a Channel 4 series, two large murals for the Sultan of Abu Dhabi and murals for the Cunard liner “Queen Mary II”. 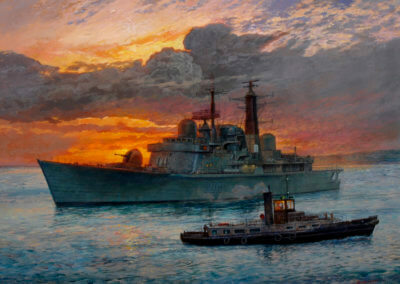 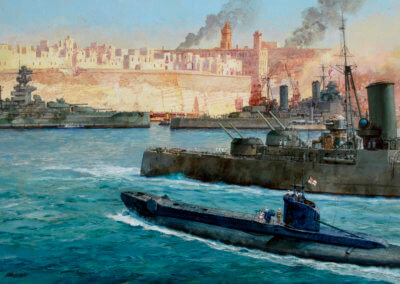 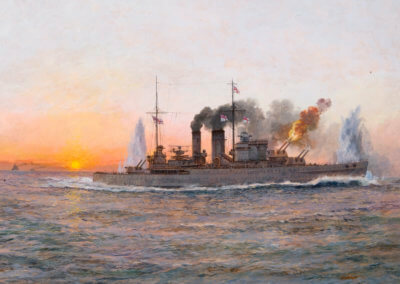 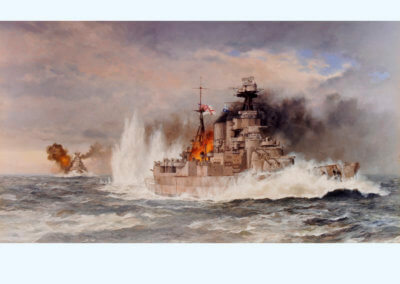 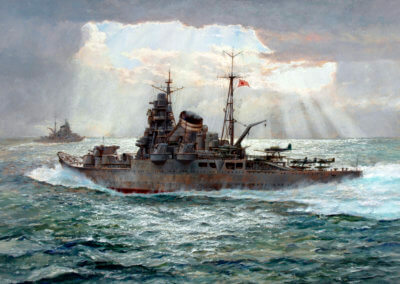 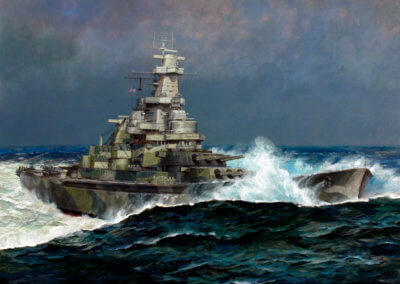 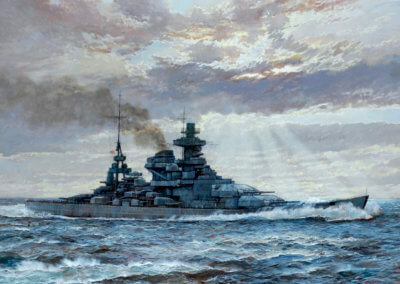 Paul’s paintings also feature in the book ‘Hearts of Steel’, The Warship Paintings of Paul Wright, published by Halstar Publishing. 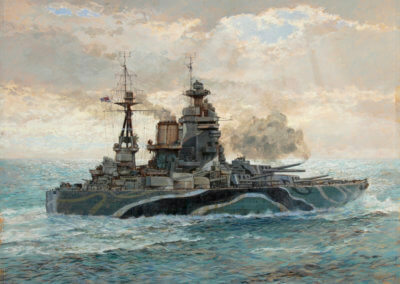 He has undertaken illustration commissions for over one hundred different publishing companies throughout the world. 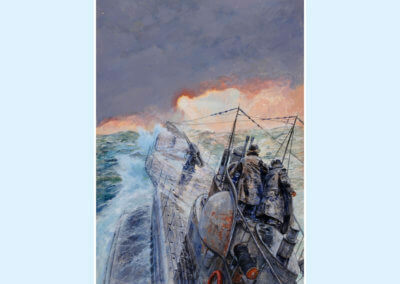 Authors have included Patrick O’Brian, Dudley Pope, C.S. 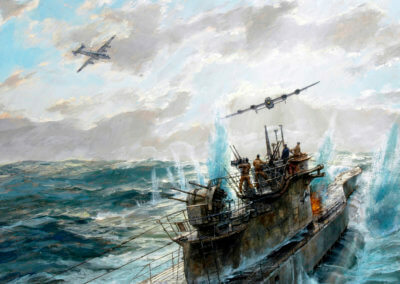 Forester, Nicholas Monsarrat, Douglas Reeman, J.G. 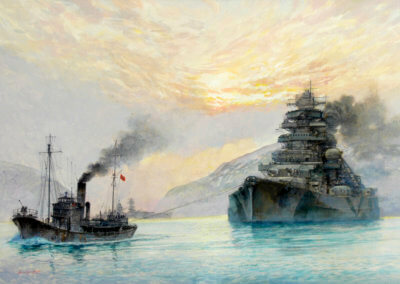 Ballard and Ludovic Kennedy.